“Playhouse Masters,” the official title of LDS couple Tyson and Audrey Leavitt’s new television show on TLC, premieres on Aug. 23. 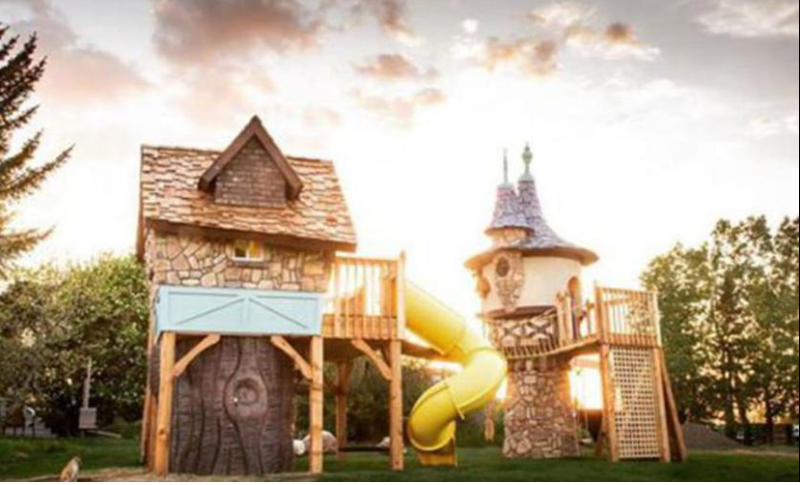 Described by People.com as “the goofy and charming hosts,” the Leavitts own Charmed Playhouses, a company that designs and builds “fantastical and over-the-top” playhouses, tree houses and even doghouses. “The first season will feature a slew of celebs, as well as other families. In addition to the Golden State Warriors star, the lineup includes Ali Landry, whose kids dream of hanging out in a fantasy birdhouse, Law & Order‘s Alana de la Garza, whose youngsters go for a brainy planetarium theme and Ryan Zimmerman of the Washington Nationals, whose daughter dreams of a classic storybook castle,” read the People.com article.